Tuberous sclerosis complex is a genetic multi-system disorder that is inherited in an autosomal dominant fashion and causes the formation of tumor-like growths (hamartomas) in the brain, eyes, heart, kidneys, skin, lungs and other organs . The first complete description of the disease was published in 1880 by the French physician Dèsiré Magloire Bourneville, who also named the disease. The disease may appear in every age, from early childhood to adult life, with a great variety in severity . Diagnosis of TSC can be difficult because the way in which the disease affects each person differently, even within the same family. As we learn more and more about TSC, the diagnostic criteria will change to include new knowledge . Studies have shown that TSC1 and TSC2 genes are the cause of the disease [4,5]. Diagnostic genetic testing is commercially available for many inherited diseases, including TSC. There are three primary uses for genetic testing in TSC: 1) confirmation of a clinical diagnosis of TSC; 2) ease of testing for other at-risk family members (siblings, parents of a child with TSC, etc. ); and 3) prenatal diagnosis. As already mentioned TSC is a rare disease and its incidence has recently estimated to be 1 in 6,000 live births. The frequency of the disorder is 1 in 10,000 in the general population. It is estimated that at least 50,000 Americans and 1 million individuals worldwide have TSC . There is no one manifestation of TSC that allows health care professionals to diagnose an individual with the disease. In addition, many features known to be present in TSC, such as seizures and mental disability, are too common in the general population to help establish the diagnosis. In July 1998, the Tuberous Sclerosis Alliance and the National Institutes of Health convened a consensus conference to evaluate and revise the clinical diagnostic criteria for TSC that had been previously established in 1992. The recommendations from the consensus conference were published by Roach and collaborators and provide the most specific clinical criteria for diagnosing TSC (See table 1) . However, in the majority of cases, the diagnosis of TSC comes after the start of seizures . Epilepsy, intellectual disabilities (mild to severe), and psychiatric and behavioral problems are the most common neurological manifestations in TSC. Individuals with milder forms of TSC commonly have little or no neurological impairment, although they may still have minor learning disabilities and/or mental health issues . Seizures remain one of the most common neurological features of TSC, occurring in 60% to 90% of individuals with TSC. Some infants will be diagnosed with TSC after they begin having a type of seizure called infantile spasms. Older children and adults may develop multiple types of seizures including generalized, complex partial and other focal seizures. More than 50% of individuals with TSC who have epilepsy will not respond to standard antiepileptic medications and have intractable epilepsy. Approximately 45% to 60% of individuals with TSC have intellectual disabilities, although the degree of intellectual dysfunction ranges from very mild to severe. Some children appear to develop normally until the onset of seizures, when their progress slows or they actually lose developmental milestones. Some individuals with TSC may have mild learning disabilities that are essential to consider when early interventions, school programs, or career choices are being made. Since there is no cure, early intervention is helping to diminish developmental delays in individuals with TSC. Aggressive treatment of all symptoms of TSC, including tumor growth, seizures and mental illness will provide the highest quality of life possible for individuals with TSC. Surgery to remove tumors is helping to preserve the function of affected organs. Improved technology is helping to pinpoint and remove the exact portions of the brain stimulating seizures. Significant advancements in the understanding of the functions of the TSC genes are bringing new and improved therapeutic options that are currently being tested in clinical trials [6,8]. There are a lot of studies for tuberous sclerosis complex that have taken place in different countries, which deal with epidemiological elements, genetics, clinical characteristics, complications, diagnosis, therapeutic treatment, psychosocial problems, prenatal diagnosis and genetic counseling of the disease [1,5]. Such studies have no taken place in our country apart from some reviews in clinical manifestations and treatment of the disease, and some case studies [3,9,10]. Primary goal of this descriptive study was to list the level of parental knowledge concerning TSC and its therapeutic approaches along with their attitudes in connection with the disease and the possibility of a future pregnancy. Themes of quality of life and promotion of genetic counseling for tuberous sclerosis complex in Greece, were are also discussed. In the study participated 42 parents of children with TSC. A convenience sample since all the parents were members of the Tuberous Sclerosis Association of Greece. This association is the one and only main source of information in our country concerning children with TSC. We asked for permission from the association to enter their records and to approach its members ensuring that anonymity will be preserved along with the preservation of all ethical rights concerning research in humans. The association during the study period had 170 members, in which were included parents of children with TSC and individuals who were not suffering from the disease (volunteers). Among them, 100 were members of families with at least one person with TSC. Mainly a child and in some cases one from the parents. Data collection was obtained by the construction of a 57 elements quesionnaire. The questionnaire was formed after the elaboration of a previous one that the Tuberous Sclerosis Association of Greece had already used. The questionnaire was based on national and international literature along with comments from experts on TSC field. A pilot study of 16 families was performed and modifications led to a new questionnaire which was more comprehensive, easier to complete, distinct, and anonymous. The questionnaire consisted by six groups of questions that included personal data and clinical manifestations of patients and their families and information about the difficulties or delay in the diagnosis. It also included questions concerning information of parents about the inheritance of tuberous sclerosis complex, their feelings after the diagnosis and their knowledge for the disease along with their ability to cope with disease’s demands. These questionnaires were given to 55 families of a child with TSC and 42 were returned, filled in (correspondence rate 76.36%). The 2/3 of the number of questionnaires was filled in with the help of the Tuberous Sclerosis Association of Greece and the rest were posted and returned, filled in by the parents themselves. One of the parents of every family filled in the questionnaire and signed the print of consent which permitted the elaboration and analysis of the elements included. In all questionnaires there were no missing values. Data analysis was performed using SPSS 13.0 statistical package. 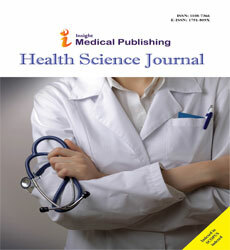 The analysis was based on contingency data tables and descriptive data entry. The chi-square test and likelihood ratio test were also used. Fisher’s exact test and logistic regression were used in analyzing the ordinal variables in correlation with the answers that were given. The participants in the study concern the 76% of parents of children suffering from TSC that were members of the Tuberous Sclerosis Association of Greece. The majority of parents who filled in the questionnaire were women (85,7%) and their mean age was 39,7 years (sd 8,8 years). The majority of parents were married (83.3%) with secondary (38.1%) or higher educational level (45.2%). They were parents of 23 boys with TSC (54.8%) and 19 girls with TSC (45.2%) with mean age 14,6 years (sd 8,37 years). Most of them were the first child in the family (57.1%) even though the majority of families had two or more children (66.7%). Moreover, most of parents were healthy (76.2%) but there were some parents with TSC (9.5%) or possible TSC diagnosis (14.3%) (See Table 2). It is noteworthy mentioned that only 10 families concern the inherited type of tuberous sclerosis complex, but in the rest of them the disease of children has to do with new mutations. According to the information given, only in one case there was mentioned relationship of fourth degree between parents. With the help of questionnaire possible problems and clinical manifestations of children with tuberous sclerosis complex were investigated. The most common problems were word delay (50%), hyperactivity (45.2%) and difficulty in word pronounce (42.9%) and repeated movements or actions (40.5%). On the other hand the clinical manifestations of tuberous sclerosis vary. Epilepsy (71.4%), hypomelanotic macules (69%), brain complications (69%), facial angiofibromas (59.5%), cortical tubers (45.2%), learning difficulties (52.9%) and complications in the kidneys (38.1%) were clinical manifestations often recognized (See Table 3). In general, among the 42 children of the sample, the majority (67%) can express their needs, 21% can show their needs and only 5 children had major problems in contact with others. As already was mentioned some parents reported TSC diagnosis (9.5%) or possible TSC diagnosis (14.3%). Their clinical manifestations of the disease were identified and they are presented in Table 4. Hypomelanotic macules (N=6, 10.9%) and , facial angiofibromas (N=5, 9.09%), kidney (N=4, 7.27%) and brain complications (N=3, 5.45%) were the most frequent. Hopefully, none among siblings of children with TSC were also diagnosed with TSC. Many parents (41%) stated that they had to face many problems or delay concerning the diagnosis of TSC. 71% of parents were examined from doctors for the possibility of suffering from TSC, after the diagnosis of their child. Regarding the question whether they would accept to have a simple blood test in order to comfirm if they had also TSC, 90% of the parents answered positively. Moreover, almost all of them would like to had an organized prenatal examination for TSC.In Table 5, the attitudes of the 42 parents are presented according to the neurologist/pediatric neurologist (78.6%), their pediatrician (33.3%) or the Greek Tuberous Sclerosis Association (33.3%). Only 1 parent (2.4%) stated prenatal knowledge and the majority of parents (76.5%) stated knowledge of TSC inheritance during the first year of their child’s life. Many parents expressed guilt (45.2%), anger (23.8%) or mainly sadness (83.3%) after learning about TSC inheritance. Even though that (26%) felt better informed after that information, it is noticeable that 2/3 of parents used a method for not having other child after the information they had from specialists. Another important point is that 71% of spouses showed high levels of agreement concerning their attitudes and decisions concerning the care of their child with TSC and the possible future problems they might have to come along. Demographic characteristics such as parent’s gender, total number of children in the family, order of birth and the gender of the child with TSC, seems not to influence the attitudes of parents about tuberous sclerosis the development of multiple hamartomas distributed throughout the body, skin, brain, heart, kidneys, liver, and lungs . The study of attitudes, knowledge and social characteristics of families with children who suffer from TSC in Greece seems to have many similarities with other foreign developed countries, such as Great Britain, USA, Canada etc but it also has some interesting particularities too. The surveillance of TSC in Greece is estimated to be 1:6000-10000 living births and is similar to other countries [1,12-14]. Because mild cases In our study the majority of families with the inherited type of TSC, stated that they diagnosed it after the birth of their child, and only one family knew prenatally that their child will be born with TSC. Similar findings were found in the study of Hubbeling and Mulder, in which the majority of patients recognized that they were suffering from TSC after the birth of their child, and this happened because of deficient information for the disease and its complications . As far as the attitudes of parents for tuberous sclerosis complex are concerned, the majority refers that the experience of growing up a child with the disease, is a very difficult situation to face, not only emotionally but also psychologically and economically, too. This happens because the disease is multi-system and affects many organs of the human body, and as a result, parents have to face many problems. At the same time, the severity of the disease varies from mild, with only dermatological lesions, to very severe, with mental retardation and epilepsy. 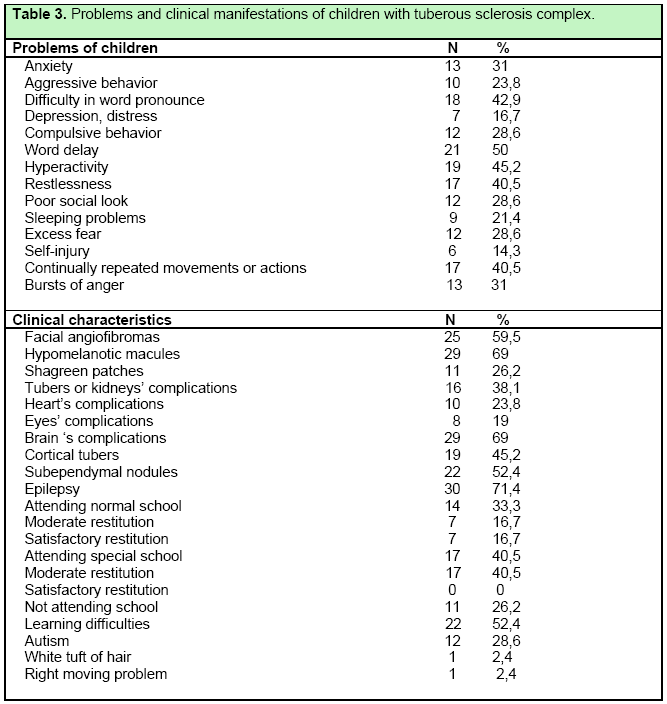 The distribution of the disorders and characteristics of children with tuberous sclerosis complex of this study is similar to other studies [14-24]. The severity, the extent, the number and the location of lesions vary even in members of the same family and can be recognized in every age, from early childhood to adult life [3,12,13]. The clinical manifestations of the disease are presented in a very smaller frequency and in a milder degree at parents of sick children. This fact is because of the great heterogeneity of clinical manifestations, even among patients of the same family [25,26]. Psychiatric and behavioral disorders are common in individuals with TSC and include autism spectrum disorder (ASD), pervasive developmental disorders (PDD), attention deficit hyperactivity disorder (ADHD), obsessive compulsive disorder (OCD), depression, anxiety disorder, bipolar disorder and/or aggressive behavior. Parents in our study reported aggressive behavior and learning difficulties that include intellectual disability and seizures early in life, especially infantile spasms. Therefore, infants suspected of having TSC are at risk for the development of these diagnoses and should be evaluated by the appropriate healthcare providers [6,8]. In addition, many parents stated that the diagnosis of their children was wrong at first. The causes for this wrong diagnosis were mainly difficulty in diagnosis from the very beginning and the ignorance or lack of expertice and/or experience of general pediatricians about TSC. Differential diagnosis was difficult and was taking them time to recognise other symptoms that would made sure the diagnosis of TSC. Therefore it is also recommended that all children diagnosed with TSC should have a thorough neuropsychological evaluation at the time of diagnosis so that early intervention can be implemented and avoidance of complications can be achieved [6,16,18]. In our study the majority of parents stated that they were fully informed about the inheritance of the disease, mainly from a pediatric neurologist. This is quite expected, because one of the more often and first recognized problems of children with tuberous sclerosis complex is epilepsy and brain tumors. So, pediatric neurologists are better informed for the disease and as experts they can can easily make its differential diagnosis [27-29]. Nevertheless, information seems to be deficient in our country, something referred to a similar study in bibliography, too . Another interesting element was that almost all the parents of children with TSC would like to undergo a blood test or prenatal test, in order to confirm or not the diagnosis of TSC. Unfortunately, in Greece, such an ability is not applicable, in contrast to United Kingdom and United States that these tests along with prenatal diagnosis can be done easily [1,14]. The only way that can lead to suspicion of tuberous sclerosis complex is the ultrasound, which can lead to cardiac rhabdomyomas and brain lesions, manifestations that are mainly observed in this disease [30-32]. 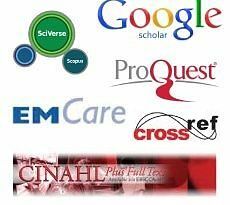 The biopsy of chorionic villi, the amnioparacenticis and the blood of fetus, can be sent in special centers abroad for testing, with doubtful results [33-37]. Parents’ feelings when they were informed for the disease of their children and the way it is inherited were sadness, anger and guiltiness. Most of them first discussed their problem with other members of their family. Many of them referred to another doctor for a second opinion and some of them the Tuberous Sclerosis Association of Greece. Parents in this TSC study were particularly concerned about personal and social management as their sons and daughters grow up. Similar findings were reported by Ferguson in their study about the care of adolescents with severe learning disabilities from tuberous sclerosis . Of all the possible manifestations of this complex disorder, the cognitive and behavioral problems represent the area of greatest concern to parents and caregivers . Psychological support of these parents is very difficult, because there are not special centers for the disease which could cover the needs of patients and their relatives, in addition to other countries abroad, such as United Kingdom, U.S.A., Denmark etc [14,40-43]. It is a very important fact that the majority of parents, and more often younger parents, agree with each other to the management of problems that the disease cause . 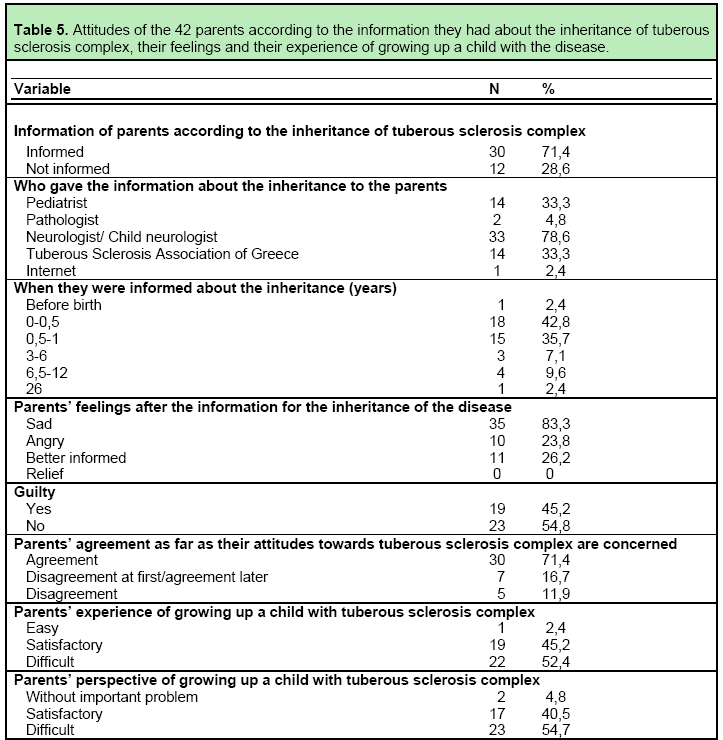 The educational level of parents seems to seriously influence their knowledge about tuberous sclerosis complex, something that is expected from the fact that more educated people can better understand elements that have to do with health matters . At last, it is very important to be mentioned that the sample of our study, even if it is small, it is considered representative of children with tuberous sclerosis complex in Greece, since the collection of data was made from the Tuberous Sclerosis Association of Greece, which is the one and only source of information in our country and we assume that almost all children with tuberous sclerosis complex are members of the association. After all these mentioned above, we conclude that the need of information of people and health carriers for the rare pediatric diseases such as tuberous sclerosis complex, is very important. In the early diagnosis and prognosis, genetic counseling international and recently in Greece has a very important role, targeting to the correct information and advice giving to people who are interested in matters of prolipsis, inheritance of the disease and management of possible problems. The authors would like to thank the Tuberous Sclerosis Association of Greece and the Greek Alliance of Rare Diseases for the information and the data collected. We would also like to thank parents of children with TSC who accepted to take part at this study. Narayanan V: Tuberous sclerosis complex: genetics to pathogenesis. Pediatr Neurol 2003; 29: 404-409. Clinical Guidelines for the care of patients with Tuberous Sclerosis Complex: Summary. Tuberous Sclerosis Association. Bromsgrove 2002. Zirogiannis P: The kidney at tuberous sclerosis complex, in Tuberous Sclerosis Association of Greece: Tuberous Sclerosis. Athens 1997, 23-27. Melean G, Sestini R, Ammannati F, Papi L: Genetic insights into familial tumors of the nervous system. Am J Med Genet, Part C (Semin Med Genet) 2004; 129C: 74-84. Young J, Povey S: The genetic basis of tuberous sclerosis. Molec Med Today 1998; 4: 313-319. Tuberous Sclerosis Alliance. (2007) An Introduction to Tuberous Sclerosis Complex. 8 0 0 - 2 2 5 - 6 8 7 2. Downloaded from the TS Alliance Web site: www.tsalliance.org. Tuberous Sclerosis Alliance. (2002) The Early Years Guide of the Life Stages Program. A Resource Guide for Families of Infants and Young Children with Tuberous Sclerosis. Downloaded from the TS Alliance Web site: www.tsalliance.org. Giouroukos S: Neurocutaneous syndromes, in Themes of pediatric neurology. Athens, Zita Publications, 2000, 53-75. Giouroukos S: Neurology diseases with skin manifestations, in Days of Pediatric Informations. Athens, 3d ed. of Pediatric Clinic of University of Athens, 2005, 17-29. Schwartz RA, Fernández G, Kotulska K, Jóźwiak S. Tuberous sclerosis complex: advances in diagnosis, genetics, and management. J Am Acad Dermatol. 2007 Aug;57(2):189-202. Sparagana SP, Roach ES: Tuberous sclerosis complex. Curr Opin Neurol 1000; 13: 115-119. Gomez MR: History. In: Gomez MR: Tuberous Sclerosis. 2nd ed. Raven Press Ltd, New York 1988, 1-8. Hubbeling A, Mulder J: The complexity of tuberous sclerosis. An explorative study into behavioral problems. STSN Stichting Tubereuze Sclerosis Nederland, Dutch Tuberous Sclerosis Association, Amersfoort, 1995. Lendvay TS, Marshall FF: The tuberous sclerosis complex and its highly variable manifestations. J Urol 2003; 169: 1635-1642. Curatolo P, Verdecchia M, Bombardieri R: Tuberous sclerosis complex: a review of neurological aspects. Eur J Paediatr Neutol 2002; 6: 15-23. Bernard ML, McCann Diedrick K, Roach S, Gutmann DH: Tuberous sclerosis complex: Pathogenesis, diagnosis, strategies, therapies and future research directions. J Child Neurol 2004; 19: 633-642. Schnur RE: Genodermatoses 2003-2004. Curr Opin Pediatr 2004; 16: 678-688. O’Callaghan FJK, Harris T, Joinson C, Bolton P, Noakes M, Presdee D, Renowden S, Shiell A, Martyn CN, Osborne JP: The relation of infantile spasms, tubers and intelligence in tuberous sclerosis complex. Arch Dis Child 2004; 89: 530-533. Asato MR, Hardan AY: Neuropsychatric problems in tuberous sclerosis complex. J Child Neurol 2004; 19: 241-249. Zaroff CM, Devinsky O, Miles D, Barr WB: Cognitive and behavioral correlates of tuberous sclerosis complex. J Child Neurol 2004; 19: 847-852. Murphy KC: Psychatric and behavioral issues in adults with tuberous sclerosis complex. Scan Facts. Fact Sheet No 39 of the Tuberous Sclerosis Association. Bromsgrove 2001, 1-4. DiMario FJ: Brain abnormalities in tuberous sclerosis complex. J Child Neurol 2004; 19: 650-657. Zaroff C, Isaacs C: Neurocutaneous syndromes: behavioral features. Epileps Behav 2005; 7: 133-142. Robbins TO, Bernstein J: Renal involvement. In: Gomez MR. Tuberous Sclerosis. 2nd ed. Raven Press Ltd, New York 1988, p. 133-146. Curatolo P, Porfirio MC, Manzi B, Seri S: Autism in tuberous sclerosis. Eur J Paediatr Neurol 2004; 8: 327-332. Prosalentis A: Cerebral tuberous sclerosis, in Tuberous Sclerosis Association of Greece: Tuberous Sclerosis. Athens, 1997, 14-15. Whitehead LC, Gosling V: Parent’s perceptions of interactions with health professionals in the pathway to gaining a diagnosis of tuberous sclerosis (TS) and beyond. Res Dev Disabil 2003; 24: 109-119. Clarke A, Osborne JP: Tuberous sclerosis: how to recognize this challenging disorder. Health Visit 1994; 67: 350-352. Brackley KJ, Farndom PA, Weaver JB, Dow DJ, Chapman S, Kilby MD: Prenatal diagnosis of tuberous sclerosis with intracerebral signs at 14 weeks’ gestation. Prenat Diagn 1999; 19: 575-579. Levine D, Barnes P, Korf B, Edelman R: Tuberous sclerosis in the fetus: second-trimester diagnosis of subependymal tubers with ultrafast MR imaging. AJR 2000; 175: 1067-1069. Wei J, Li P, Chiri Boga L, Mizuguchi M, Yee H, Miller DC, Greco MA: Tuberous sclerosis in a 19-week fetus: immunohistochemical and molecular study of hamartin and tuberin. Pediatr Dev Pathol 2002; 5: 448-464. Shepard T: Human teratogenicity. Adv Pediatr 1986; 33: 225-268. Robinson A, Linden MG. Clinical genetics handbook. 2nd ed. Boston, Blackwell Scientific Publications, 1993. Thompson MW, McInnes RR, Willard HF: Thompson & Thompson genetics in Medicine. 5th ed. WB Saunders company, Harcourt Brace Jovanovich, Inc, Philadelphia, London, Toronto, Montreal, Sydney, Tokyo, 1991. Emery AEH, Rimoin DL: Principles and Practice of Medical Genetics. 2nd ed. Churchill Livingstone, Edinburgh, London, Melbourne, New York, 1991. Sutton HE: An introduction to human genetics. 4th ed. Harcourt Brace Jovanovish, Publishers Academic Press, San Diego, New York, Chicago, Austin, Washington DC, London, Sydney, Tokyo, Toronto, 1988. Prather P, de Vries PJ. Behavioral and cognitive aspects of tuberous sclerosis complex. J Child Neurol. 2004 Sep;19(9):666-74. Parkes CM: Bereavement: Studies of grief in adult life. 3rd ed. Tavistock Publications, London, New York, 1996. Hunt A: Tuberous sclerosis: a survey of 97 cases. III: family aspects. Dev Med Child Neurol 1983; 25: 353-357. Fryer AE, Chalmes AH, Osborne JP: The value of investigation for genetic counseling in tuberous sclerosis. J Med Genet 1990; 27: 217-223. Al-Gazali LI, Arthur RJ, Lamb JT, Hammer HM, Goker TP, Hirschmann PN, Gibbs J, Mueller RF : Diagnostic and counseling difficulties using a fully comprehensive screening protocol for families at risk for tuberous sclerosis. J Med Genet 1989; 26: 694-703.